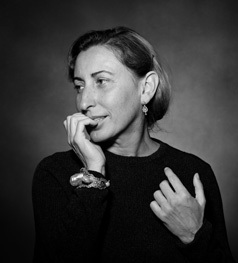 A few weeks ago, in my NYC trip post, I mentioned going to the Metropolitan Museum of Art to see a fascinating exhibit about Elsa Schiaparelli and Miuccia Prada. 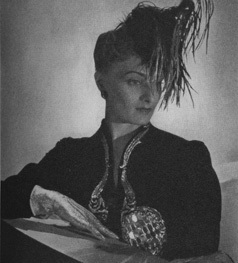 In addition to being interested in fashion, I am also fascinated by fashion history. On display, were the collections of two famous designers who never met, had almost opposite ideas about fashion, and yet they their collections had strikingly similar elements. 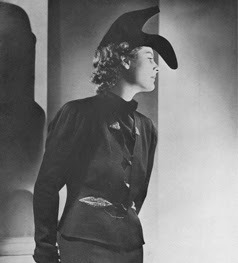 Schiaparelli came from a world where women sat a lot. Many women stayed at home, or if they worked outside the home, they were secretaries or sales girls (and apparently, they didn't stand too much). To compensate for not being able to show off fabulous legs, hats were very stylish and embellishments in outfits were generally in the top half of the female figure. 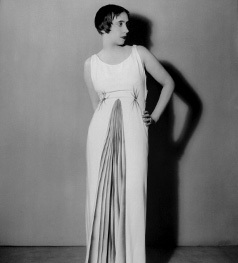 Because of this emphasis on the upper body, Schiaparellis used it as the focal point of her designs. Prada's design focus is on the woman's lower half. Skirts, pants and the lower half of dresses hold that special something to set her designs apart, whether it is pleats, pattern, or embellishments. She believes that as women's roles change in the world, the area of focus has become the legs rather than the shoulders, chest and head. Here are a few brief highlights from this incredible exhibit. She may not be able to see, but that model is definitely making a statement with this hat and jacket. 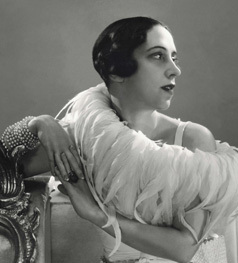 I love Schiaparelli's contrast of the soft feathers (or whatever those things are) and the hard metallic bits on her jacket. In contrast, Prada's dress is almost a little whimsical, but the use of geometric objects add a definite sense of power to each outfit. Pleats are gorgeous, but they are a beast to do really well. In some cases, painted pleats are an easy way to make a fairly simple dress look much more complicated (okay, so only easy if you don't have to paint the pleats yourself). The pleats in these dresses are fancy trompe-oeil paintings... even in person, these pleats look remarkably realistic. Don't you just love how flirty yet formal the Prada dress is! So beautiful! These Grecian designs definitely show versatility. 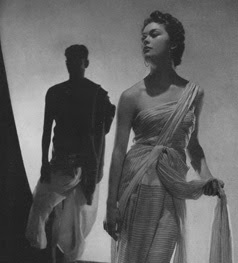 I just love how statuesque each woman looks. I also love the change in emphasis for each designer. Schiaparelli's focus comes from that gorgeous waist cinch and strap, and Prada's focus is down around the knees with those beautiful bubbled pleats. The gold dress was even more spectacular in person. These two designs show the edge that both of these designers have. A little bit of modern quirkiness which could be construed as adorable, or perhaps just weird. Two designers with incredible vision, remarkable breadth and overall panache... This really was a great exhibit. Maybe not worth going to NYC for, but if you are in town, it definitely deserves a visit. I actually read about that exhibit online (they had transcripts of the "conversations" and everything. I thought it was super interesting! I'm sure I didn't ever know Prada was a WOMAN! Surprise, surprise! Also, what is "weird" about the red and white skirt? I can't tell from the photo. All I can see is extreme posture. . . The red and white skirt has red lips all over it. It is sort of a fun skirt, but a little off the beaten path, perhaps?